For athletes in every sport massage can reduce fatigue and aid recovery from the exertion of working out or playing. Massage enables longer, more effective workouts, thus facilitating better performance and preventing injury. Massage acts to disperse the by-products of muscle action such as lactic and carbonic acids which irritate muscles and nerve endings causing pain and fatigue. Massage can thus increase muscle recovery rates. When massage has been substituted for rest, an increase from 20 – 100% muscle recovery has been recorded. Massage counteracts joint pain or stiffness with strokes and passive movement to release the muscle tension and free the connective tissue that can bind the joints. Massage also aids recovery from soft tissue injuries such as sprains and strains. The growth and repair of tissue are accelerated by efficient circulation in the injured areas and appropriate stimulation of the healing tissues. Stress causes the release of hormones that create vasoconstriction leading to reduced blood circulation. The heart works harder, breathing becomes rapid and shallow, and digestion slows. Nearly every body process is degraded. Stress can cause migraines, hypertension, depression, ulcers, etc. Researchers have estimated that 80% of disease is stress related. Soothing and relaxing massage therapy can help by counteracting stress effects. Massage therapy is a form of drugless therapy that can relieve headaches, insomnia, digestive disorders including constipation and spastic colon, arthritis, asthma, carpal tunnel syndrome, sinusitis, and minor aches and pains and many other conditions. During pregnancy a woman’s body undergoes many changes, some of them stressful and uncomfortable. Massage is a perfect way to reduce stress and promote general well-being. Massage combats fatigue and helps the mother feel more energetic. Massage eases the load on mom’s heart and helps keep her blood pressure in check. Massage can help relieve depression or anxiety caused by hormonal changes. Massage relieves many of the normal discomforts during pregnancy, such as backaches, a stiff neck, leg cramps, headaches and sore, swollen ankles and feet. Massage helps the mother sleep more easily and deeply. A relaxed mother will have a happier, healthier pregnancy and possibly an easier childbirth. Research on the effects of massage therapy has been ongoing for more than 120 years. A surge in research over the past 20 years has resulted in more than 2,500 published studies. Massage increases activity level of the body’s natural “killer cells”, boosting the immune system. 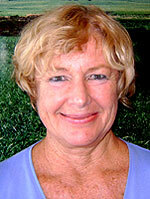 ~ Sandra McLanahan, M.D., family practitioner, Buckingham, Va.
808-280-8852 to schedule an appointment. Urai’s rates are $75 for one hour. Call Urai directly at 808-276-5362 to schedule an appointment. Massage Therapy is available at Ohana Hale in Kahului and Maui Chiropractic In Kihei Monday through Saturday. What To Expect On Your First Massage Visit!